Music groups, singing and fun for babies, toddlers and pre-school children with their parents and carers in Croydon! Hello and welcome to Musical Bumps in Croydon. My name is Maree Waller and I’m a local Croydon mum. I’ve been involved with music all my life – from early years in school choirs through to membership of Croydon Philharmonic Choir, Croydon’s largest amateur classical choral group. Singing in the Croydon Last Night of the Proms every year was always a highlight! I trained as a primary school teacher with a music specialisation. When my own child was born in 2004, I began looking for a job that would fit in with my new role and utilise my passion for music. Teaching Musical Bumps is perfect for me. I am also passionate about teaching children to care for the planet so when time permits you might find me in a school teaching children how to recycle paper by making their own or talking about how great worms are for our gardens. If you would like to come along to Musical Bumps and see the fun for yourself, please get in touch with me to arrange a free trial session. You can phone us on 0845 094 6485 or complete this form to book your free trial class. Musical Bumps Croydon can create a bespoke programme of learning for your school or nursery’s specific needs. From one-off workshops or parties, clubs and choirs right through to a full music curriculum for EYFS and KS1, you can rely on Musical Bumps to provide stimulating, ambitious, practical and musical classes and clubs! 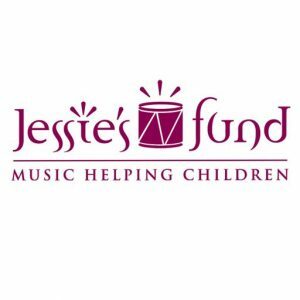 Each year, Musical Bumps Croydon hosts a party to raise money for a charity called Jessie’s Fund. The charity uses its funds to support music therapy for children with additional needs. These children have the opportunity to communicate and enjoy the simple pleasures of music making and listening. 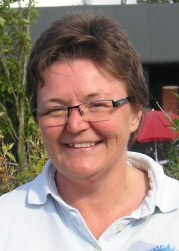 Please see www.jessiesfund.org.uk for further information. Our party in December 2017 raised a whopping £585.50 for the charity. Well done to all the families who helped make this such a wonderful party. Special thanks to St Mildred’s for allowing us the use of the hall and to the wonderful helpers on the day and all the families who attended. Watch this space for details of the next fundraising event in 2018. Our annual Christmas party will be held from 2-4 pm on Saturday 22 December in the large hall in St Mildred’s Community Centre. Saturday classes at St Mildred’s are on the 4th Saturday of each month. See Facebook for full details the week prior to the class. St Mildred’s Centre in Bingham Road is a modern building with level access for pushchairs and buggies. Classes are held in the small hall – enter either through the front or side doors. Addiscombe tram stop is 2 minutes walk away and there is free parking in the surrounding streets.